Artificial intelligence (AI) holds real potential for improving both the speed and accuracy of medical diagnostics. 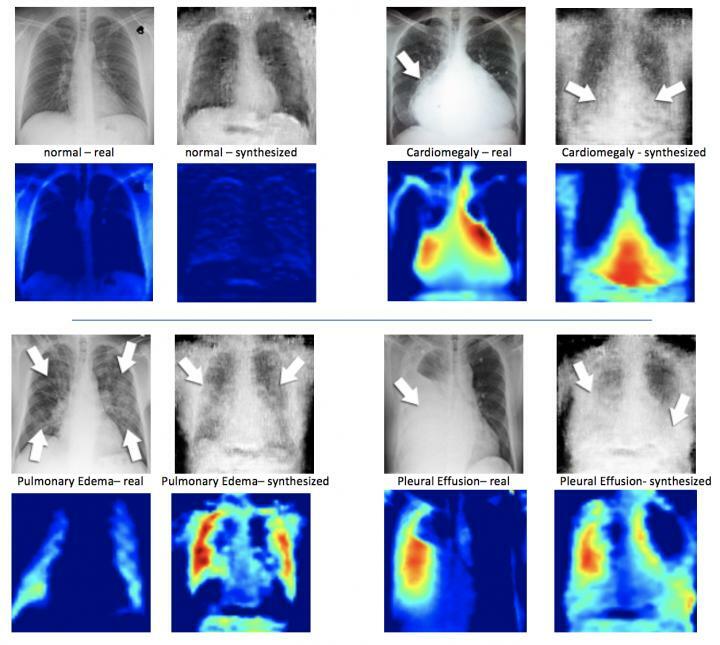 But before clinicians can harness the power of AI to identify conditions in images such as X-rays, they have to 'teach' the algorithms what to look for. "In a sense, we are using machine learning to do machine learning," says Valaee, a professor in The Edward S. Rogers Sr. Department of Electrical & Computer Engineering (ECE) at the University of Toronto. "We are creating simulated X-rays that reflect certain rare conditions so that we can combine them with real X-rays to have a sufficiently large database to train the neural networks to identify these conditions in other X-rays." Valaee is a member of the Machine Intelligence in Medicine Lab (MIMLab), a group of physicians, scientists and engineering researchers who are combining their expertise in image processing, artificial intelligence and medicine to solve medical challenges. "AI has the potential to help in a myriad of ways in the field of medicine," says Valaee. "But to do this we need a lot of data — the thousands of labelled images we need to make these systems work just don't exist for some rare conditions." "We've been able to show that artificial data generated by a deep convolutional GANs can be used to augment real datasets," says Valaee. "This provides a greater quantity of data for training and improves the performance of these systems in identifying rare conditions." "It's exciting because we've been able to overcome a hurdle in applying artificial intelligence to medicine by showing that these augmented datasets help to improve classification accuracy," says Valaee. "Deep learning only works if the volume of training data is large enough and this is one way to ensure we have neural networks that can classify images with high precision."